Honestly, the Co-Op Game of the Year for 2015 was one that I don't think any single staff member would have picked at the beginning of the year. It simply came out of left field, snuck up on us right before the busy fall gaming season, and surprised everyone with it's fun gameplay. In a year that saw a new Halo as well as Call of Duty's return to a proper co-op campaign, it was a smaller title set in the Warhammer universe that captured our love of cooperative gameplay. 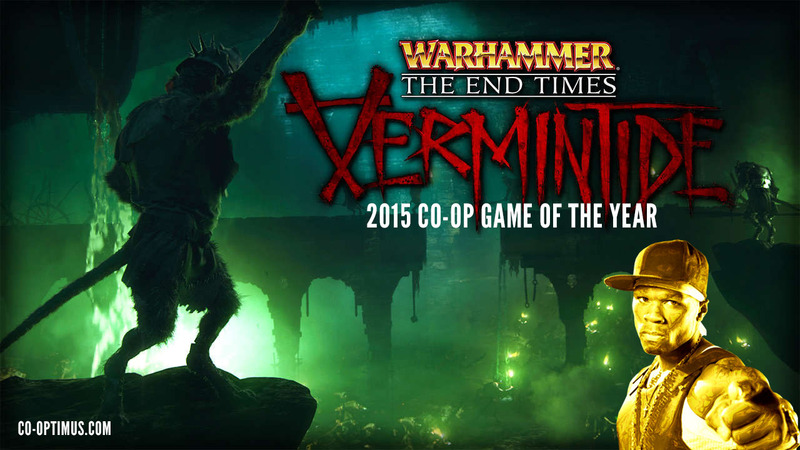 Our 2015 Co-Op Game of the Year is Warhammer: End of Times - Vermintide. While the game may not have had the most robust cooperative options, limiting folks to four player online co-op, it did change up and recapture the formula of one of the best co-op games of all time - Left 4 Dead. In Vermintide players take control of one of five classes of characters; The Witch Hunter, The Bright Wizard, The Dwarf Ranger, Waywatcher or Empire Soldier. These classes are all complimentary and feel distinctive from each other in their play styles. They all have their own skills, items, and weaponary that contribute to the cooperative nature of the game. It's these RPG elements that help make Vermintide more replayable than Left 4 Dead, and coming back for more. In fact, it's probably fair to say that expectations for what seemed like a Left 4 Dead clone slathered with the Warhammer license were average at best. 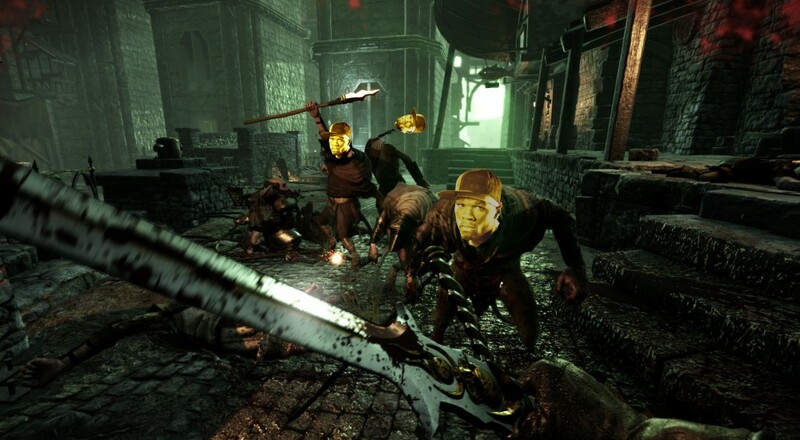 What we certainly weren't expecting was for Vermintide to diverge from the formula as seamlessly as it did and somehow retain the satisfying action and how-did-we-survive rush the Left 4 Dead games are known for. Needless to say, Warhammer: End Times - Vermintide blew us away in spite of its mouthful of a title. And that's why it won this year's coveted Golden Fitty.